Between the federal government’s recent hike in loan interest rates, and the slowing of bank lending in general, now’s a good time to gauge the small business lending climate as it stands after the first quarter of 2017. Here are just a few highlights and key indicators we’ve discovered. Even though the brunt of the last major recession was felt by most nearly a decade ago, it still keeps many small businesses from taking the leap into lending. The small business lending industry has improved considerably since then, but the trade off has been smaller loan requests ($25,000 and under) from larger regional and national banks. Dodd-Frank has been instrumental in causing smaller banks to merge, making it even less likely for small businesses to partner up. With most community and traditional banks, the first indicator of a healthy investment is still a positive credit history. Lately, though, many lenders have been shifting focus toward the presence of a well-crafted business plan. 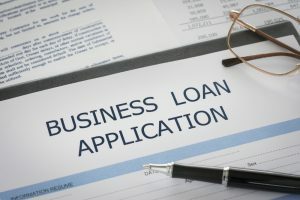 The more solid a framework lenders have to go off of when making line-of-credit decisions, the better chance small business may have to get the loans they need to grow and expand. In an attempt to lower debt risk, while still making a substantial investment in one’s business, small business owners are self funding more now than ever before. This indicates that businesses have the money needed to fund growth and expansion efforts, but are becoming increasingly debt averse. CDFIs, traditional banks, and even credit unions will have to get creative by offering small, agile loan options that have lower interest rates, that businesses can pay back quickly, while increasing their credit scores. To make the best small business valuation-related decisions, it pays to keep track of current trends and best practices, while keeping a sharp eye towards the future of the industry. The more connections you can make between the needs of business owners and the current state of the industry, the more success you stand to achieve in your career moving forward. Discover how an online business valuation tool can open your doors to new opportunities—explore Banker Valuation’s membership offers and one-time business valuation solutions.